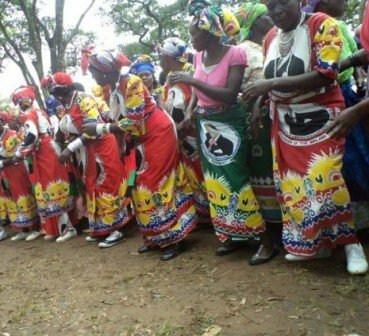 A chieftancy wrangle has erupted in Lilongwe city with four families claiming Mapila rule which is being fueled by Malawi Congress Party (MCP) legislator Watson Makala Ngozo, Malawi24 has established. Family members have been at each others throats since the death of Matapila Chizizi in 2012 who was from the Rebecca family. The information indicates that the Chieftaincy of Group Village Head Mapila rotate among four families of Rabecca family followed by Allen and then Salome and lastly Elinat family. Locals uproar against chieftaincy wrangles. Surprisingly, The Rabecca family has occupied the chieftaincy two consecutive times and that the late Matapila Chizizi was from the said family. Speaking with this publication a close source who spoke on condition of anonymity said illegitimate chief Jeremiah Chikuse works for Kamuzu Central Hospital as a driver and uses Malawi government car to in his daily chieftainship conduct. He stated, “It is achewa one and it rotates within four families thats Rabecca family: followed by Allen and then Salome and lastly Elinat family. The Rabecca family has occupied the chieftaincy two consecutive times and that the last one Matapila Chizizi dead in 2012 was from Rabecca family. Some two months ago, T/A Mazengela called all the four families to her headquarters where an agreement was made that chieftancy should now move to Allen family. Consequently money was collected from all the famillies amounting to k170,000 in preparation of the installation. The chief was installed on 10th 0ctober 2015 from Allen family which is the second. To surprise of some family members, Ngozo (MP) organized people 5th 0ctober 2015 and paid Traditional Authority Mazengela Mk300,000 for another chief to be installed. eyetu galaxy yatiuzaso xhimodzi modzi ..
What has the story to do with women clad in MCP cloth? This is a family affair and not MCP affair! Wise up! Malawi24 isnt dividing th country,hw? ?B truthful,ok? ?